This page list all those who contributed their time, personal documents and knowledge of the USS Hudson. Some comes from past crew members, some from relatives, sons, daughters and grand-children. Just click on any link name and that subject will come to top of the page. My father, Harry Darvishian, served aboard the Hudson. He was a gunner. Through his memories of that time, the ship has always been part of my life. Those memories are like touchstones to me, marking the way to the identity of a man who is famously quiet about himself. He told us about rescuing the eight crewmen from the downed B-29 and of the terrible anxiety of having to fire on and sink the plane, not really knowing whether anyone else on board was still alive; of the efforts to save the "baby flat-top" Sangamon; of the kamikazes -- in particular, the one whose wing tip clipped the bow of the ship, and the scalp of a crewman, who was injured again when the hospital ship to which he was sent was itself strafed; of the qunner fatally wounded by friendly fire (but whose death did not appear in the official history, apparently because he died on a hospital ship;) of the frightening nighttime approach of porpoises, whose high-speed phosphorescent trails could be mistaken for those of torpedos; of friendly fire and one particular American torpedo bomber whose crew, under radio silence, flashed wildly that they were on the same side; of his climbing to the stack of the ship and stenciling rising suns; of the unexpected firing of a five-inch gun that left him partially deaf in one ear. He also told us about the cold in Alaska and the warmth of Australia and its people. * The Navy sold USS Hudson , DD-475, to Zidell Dismantling/The Zidell Companies, 3121 Moody Ave., Portland, Oregon, 97201. (503) 228-8691. * Arrived Tacoma, WA, 12-13-73, where she was dismantled. Although I intended to continue my research, when I received the letter from Zidell containing this information, I combined it with the official history and went to see my father. I wanted to find out whether he was interested in my progress. Also, I had a boyish sense of pride at having found something valuable to my father that had been lost; I assumed he would thank me for delivering his past and providing a kind of finality to his saga. I read the history to him and was immediately sorry I had. In a moment I understood that all those stories he told, which over the years had taken on a stock quality, also insulated him, in a way, from many of his most painful experiences. As I read I saw his gaze turn inward and his eyes fill with tears. He remembered the screams of a wounded shipmate, the smell of cordite, blood in the water. I felt like traitor and a fool. He thanked me but did not want the papers. In any event, I hope the Zidell information is useful. I already knew about the USS Hudson DD-475 and I saw your website efforts before tonight. I added the Site to my favorites. I've read about the WWII exploits of your USS Hudson DD-475 in DANFS. I'm a Navy History buff with no military service record. 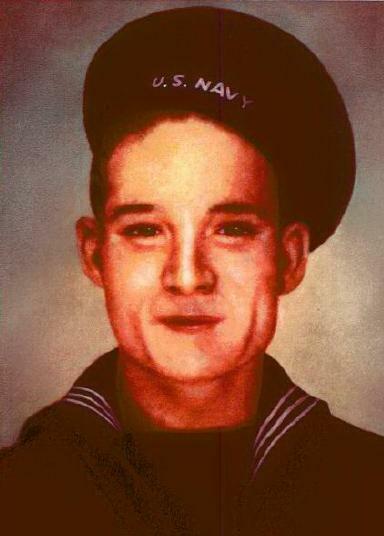 My Dad, Hugh L. Hudson, Jr. was a Radioman 2nd/Class on USS LSM-467, and USS LSM-49. 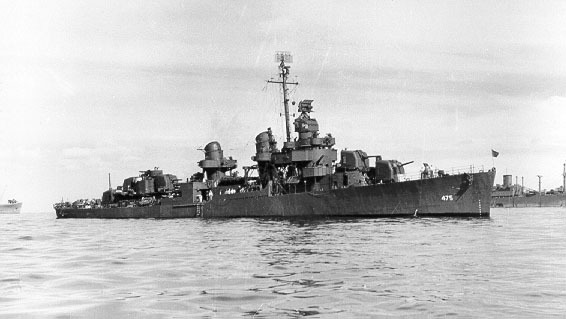 He was on the LSM-467 during in Buckner Bay during Typhoon Louise on 9-10 October 1945. Dad and I belong to the USS LSM-LSMR Association. Oh! One more thing. My parents adopted me,but was born in Paducah, Kentucky. I saw where you spent time there. Also, who was the namesake of the USS Hudson DD-475? I appreciate all the Navy and other veterans! My name is Heather L. Bowers Leone. I am the granddaughter of a one time Seabee named Clayton Johnson from Ellison Bay, Wisconsin. My grandmother has told me recently that Clayton was aboard the Hudson. I was very grateful to find your webpage because I wanted to learn more about my grandfather's experiences. He died from lung cancer in 1980, but I still feel him with me today. He didn't talk about those days much. I know that he had quite a bit of sailing/boating experience going into the war as well as carpentry experience. My grandfather came from a line of woodworkers and seamen. He was known to have been quite stubborn at times. My grandmother attributed this to his being Norwegian! I would very much like to get into contact with anyone who may have known him from his days aboard the Hudson. My brother has his navy uniform (still in good condition) and his navy manual. He has three stripes on the left sleeve under the eagle and globe. I am not sure what this means as I am completely ignorant about navy chains-of-command and/or pecking order. Maybe you know. I do know that when he arrived to port in Seattle, he flew my grandmother out there to get married in a naval ceremony. Her name is Virginia Pfiel Johnson and she still lives in Ellison Bay. She has always said how wonderful his buddies were-that they organized the whole wedding! I am very grateful to you, my grandfather and all WW II veterans for the sacrifices made for us. 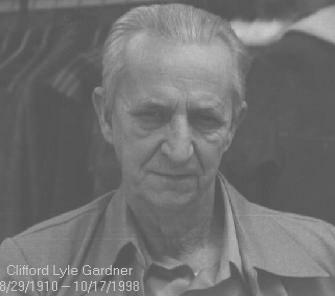 As a final note... my grandfather enjoyed many years of making his living fishing Green Bay and Lake Michigan and running his own bar and supper club. My mom tells me that when he was going through hemotherapy in the hospital, he would often hallucinate and see fish swimming under his bed. It just goes to show you how strong his bond with the water and sea was. I think that his time on the Hudson had a lot to do with that. 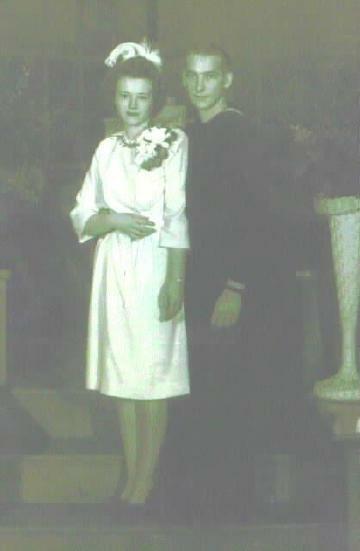 Click name to view Grand Father/Grand Mother photo. I am sending this information about my Father-in-law Who, as I remember, served on the USS Hudson. He would never talk much about the war but I am sure I remember him telling me about a reunion with a ship mate from the Hudson. So if anyone remembers him please let me know. Served in U.S. Navy from: Oct. 1943 thru Jan.1945. Wounded and spent time in SanDiego Naval Hospital. I think he was an under water Welder. Sorry but all of his navy items were lost in a fire back in the 1950's. All I have is this photo of him when he was in his 70's. Hope this will help but I know it is not much to go on. I am located in The White Mountains of eastern Arizona, near a town named Show Low. I am Retired, totally disabled. I served in U.S.M.C. 1969--1970. I think You have a great website and you are doing a great service for your fellow Vet's. Thanks for any help you can give me. He was a good man and hard worker all of his long life and I think ALL MEN and Women deserve to be remembered for their War effort. I am a plank owner of the USS HUDSON, WT2c in the foreward fire room. Unfortunatly I can't recall your name. We can blame old age for that. I'm delighted that someone is trying to put our record out there to be seen. I'm sure you are as proud of it as we all should be. Stanley Sharkie, who was killed by friendly fire on the port side 40mm, was normally on my regular watch. You might remember this combat became knows as the Turkey Shoot of the Mariannas. I hope the enclosed material will be of some help and I wish you the very best in this endevar. NOVEMBER 8TH: 4:25 AM: OUR PLANES SET BARGES AFIRE NEAR THE MOUTH OF THE LARUMA RIVER WHERE 600 ROYAL JAPANESE MARINES LANDED FROM THE BARGES UNDER THE COVER OF DARKNESS LAST NIGHT. LEARNED OUR MAINES KILLED 145 JAPS IN FIRST CLASH. 8:26 AM: OUR PLANES ARE SPOTTING FOR ARTILLERY WHICH IS ACCURATELY SHELLING THE JAPS. WE CAN SEE THE SHELL EXPLODING AMOUNG THEM. 8:30 AM: OUR CORSAIRS ARE STRAFING THE JAPS FROM TREE-TOP HEIGHT. THE TRANSPORTS ARE UNLOADING TROOPS AND SUPPLIES. 10:00 AM:OUR PLANES ARE DIVE-BOMBING AROUND THE JUBA RIVER MOUTH. NOON: FORTY OF 80 JAP PLANES ARE OVERHEAD. A DOZEN JAP BOMBERS DIVE IN. ALL OUR SHIPS GUNS ARE BLASTING. OUR DESTROYER BLOWS ONE BOMBER TO PIECES AND, GUNNER ROCCO CAMPANELLI, 18 FROM THE BRONX, CLAIMS HIS GUN GOT ANOTHER OFF THE PORT QUARTER. I CAN COUNT FIVE JAP PLANES BURNING AND FALLING INTO THE SEA TO STARBOARD. THE JAPS HAVE BEEN DRIVEN OFF. 1:30 PM: I GO OVER IN A WHALE BOAT T0 PICK UP TWO DEAD JAP PILOTS. THEY ARE TERRIBLY MANGLED, ONE HAS HALF 0F HIS HEAD MISSING. THE CREW EXAMINES THE BODIES AND CONSIGNS THEM TO THE SEA. 4:00 PM: JAP PLANES ARE COMINH IN.. IN THREE WAVES. OUR CONVOY HEADS OUT TO SEA. THE JAPS ARE REPORTED TANGLING WITH OUR PLANES. THE CONVOY RETURNS AND FINISHED UNLOADlNG. 7;00 PM: WE ARE NOW HEADING SOUUTH THROUGH A RAIN-STORM. THE JAPS ARE ATTACKING OUR COMBAT TASKFORCE 30 MILES AWAY... THEY REPORT SHOOTING DOWN SEVERAL PLANES. NEXT MORNING: I LEARN THAT OUR MARINES ADVANCED 3000 YARDS INLAND IN EMPRESS AUGUSTA BAY. 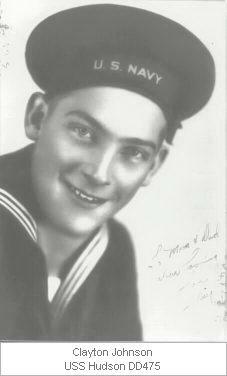 My father Dewey R. Batton was on the hudson in 1943-1945. He is now deceased, he died 1966 of a heart attack. I dont know anything about his ship mates, I was only six when he passed away. I do know that he was a gunner on the ship and have the location of every where he went on it and the battles he was in. Battons rank at discharge E-6. If anyone has any information on Dewey R. Batton, please send address and I will send pictures of him and some of his comrades. I don"t know their identity, but maybe someone could identify them for me. Copy of Service Record entry for. *1. Covering bombardment of initial landing by U.S. Marines on Bougainville Island. 2. Enemy air attack against U.S. transports and screening DD's 1 Nov 1943. 3. Two enemy air attacks against U.S. transports and screening DD's on 8-9 Nov. '43. 4. Conducted 1,000 round and 400 round shore bombardment of enemy positions on Bougainviulle Island, 28 Nov. 1943 and-25 Jan. 1944, respectively. 5. Escorted troops and supplies into Empress Augusta Bay area Bougainville island 2 Nov. 1943 to 12 Feb. 1944.6. Covered Torokina Echelons patrolling area between Buka, New Ireland and Green Island, January 1944. 7. Reconnaissance party and subsequent operations in occupation of Green Island. *8. Anti-shipping sweeep of New Ireland, Rabaul, Kavieng area, and Japanese waters-north of the equator. 9. Barge sweeps and anti sub-attack against enemy submarines in Bougainville Strait, on 10-11 March 1944. 10. 21-28 March 1944: Escorting second Echelons to Emiram Islands. 11. JASASA and other operations near Buka Passage. *12. Seizure and occupation of Saipan Island, including bombardment of Saipan and Tenian Islands. 13. Operated with T.F. 58 during air attacks of 19 June 1944 - First Philippine Sea Battle. Just thought I would drop you a note to say that my uncle, William "Bill" Snyder served on DD475. He manned one of the AA guns, mid-ship I believe. He served on the Hudson for a while, then was transfered to the USS Burmingham for a few months. At that time he was gone, he said a kamikaze plane crashed into the post he manned, I believe killing the gunner. He transfered back to the Hudson, I think for the remainder of the war. He was very proud of his Naval service, and I am sad to say that he passed away last fall. I thought you might like to add his name to the crew list for the war, or to the one of deceased crew members if it isn't just for those killed in service. If his name rings a bell with you, please let me know. P.S I would like to say thanks to you and people like my uncle who put there lives on the line for this country. That is not said enough anymore. People tend to take our freedom for granted. If it wasn't for men like yourself, I might not be writing you now. THANK YOU. My name is Ann Pratt Roy, and I am the daughter of Richard Rockwell Pratt and Ann Virginia Pratt who wrote the narrative of the Hudson that you have posted on your website. The site indicates that the author is unknown, but my parents spent about 3 years writing a book together entitled " A Navy Family". The material that is posted on your website is an excerpt from that book. "A Navy Family" is a family history, recounting the years of their marriage as Dad was out to sea much of the time, and Mom had "shore duty" raising a family of 6 children. Dad wrote a chapter telling about his experiences in the Navy, and Mom wrote the next chapter telling about life at home.Our parents wrote the book for us...their children. Many of the individuals mentioned in the narrative ie; Nana, Daddles, Rocky, and Uncle John etc. are family members. They finished the book about 15 years ago, had a few copies made, one for each of the children, and a few for friends. I think that one was given to the Naval Academy library as well. I would like credit given to my parents as authors of this material....we are all very proud of them. 5 out of 6 of us children will join Mom and Dad at the Navy Memorial as the Hudson placque is hung on Oct. 8th. If I can be of any help, please don't hesitate to contact me. I came across your wonderful website about the U.S.S. Hudson DD-475 and really enoyed it. The namesake of the HUDSON DD-475 is my Great Great Great Grandfather who you can read about below. In my possession are many arifacts about the man and the ship including a picture of the Hudson DD-475 and a photograph of her 1st CO and XO with my family (my Dad and his parents) at the commissioning in 1942. Other items include Commordore Hudsons's USN Sabre from Mexican War service, a painting, a photograph, letters and papers, a sample of Cyrus Fields first Atlantic Cable which he layed while commading the U.S.S. Niagra in 1858, and book from the Smithsonian Institute regarding the 1838-1842 Sailing expedition then Lt. Hudson was on while commanding U.S..S Peacock. I myself am currently in the Navy and really enoyed your webpage! William Levereth Hudson was born 11 May 1794 at Brooklyn, N.Y. His first service afloat was in the Mediterranean Squadron under Commodore Bainbridge in the schooner Alert and sloop Ontario from 1815 to 1817. Hudson was appointed midshipman 1 January 1816. In 1821-1823 he served in Dolphin on the Pacific coast of South America, and in Warren for a Mediterranean cruise 1826-1829. In 1830-1831, Hudson accompanied Lieutenant Ramsey on a tour to Russia, and then assumed duty at the New York Navy Yard. In June 1838 he was ordered to command Peacock, attached to the Wilkes Exploring Expedition. After strenuous service in the Antarctic, and South Seas, and along the coast of North America, Peacock was wrecked 18 July 1841 while attempting to cross the bar and enter the Columbia River on Wilkes' orders. Commander Hudson made every effort to free his ship but was forced to leave her, fortunately saving all his men and the scientific papers. In September 1849, after shore and lighthouse duty, he was ordered to command Vincennes, cruising the Pacific until 1852. In March 1857 Hudson, appointed captain 8 October 1855, assumed command of Niagara. That August, in conjunction with British ships, he made the first attempt at laying a transatlantic cable. This try was unsuccessful, but a second attempt met with success 10 August 1858. After commanding the Boston Navy Yard 1858-1862, Captain Hudson was made Inspector of the 3d Light House District. He died 15 October 1862 in Brooklyn. I am the privileged owner of the USS Hudson's bell. I purchased it from the previous owner who happened to have had it since the vessel was scrapped in Tacoma in 1974. I currently live in Miami - and have lived most of my life in Greece. I sailed as an unlicensed tankerman on a number of tankers, and have been in the shipping business my whole professional carrier. I collect maritime artifacts and the Hudson bell is the most personal and special piece I own; it weighs over 95 lbs. I don't however know very much about the ship and the Fletcher class so I am reaching out to you to see if you can share some stories or guide me with some recommendations, on where I could learn more, be in books, libraries, others who sailed on the Hudson or even the Internet. I hope and look forward to hearing from you at your convenience. I have enclosed a picture of the bell. THE REASON I AM WRITING YOU IS CONCERNING THE RESCUE YOU AND YOUR SHIPMATES ABOARD THE USS HUDSON PERFORMED 7, MARCH 1945. ONE OF THE MEN RESCUED THAT TERRIBLE DAY WAS MY FATHER IN LAW S/SGT CHARLES L MOHN. WITHOUT THE EFFORTS OF THE CREW OF THE HUDSON CHARLEY WOULD HAVE NEVER CAME HOME TO RAISE 5 CHILDREN AND OVER 50 REARS OF MARRIAGE. HE IS GONE NOW AND I WOULD LIKE TO PROVIDE HIS FAMILY WITH KNOWING MORE OF WHAT YOU AND CHARLEY AND ALL THE VETS WENT THROUGH. ARE THERE PHOTOS OR RECORDS YOU KNOW OF OR WOULD SHARE ? HOW WAS THE COMMINDATION WRITTEN TO THE CREW FOR THE RESCUE? Note: Photos and info on the crew has been received and a file made.